This site was created to discuss many unspoken subjects. B. Marie is a thinker that likes to analyze situations in business and life. She likes to give everything a positive spin to keep the day moving forward. B. Marie strives to let her light shine in every room she enters. 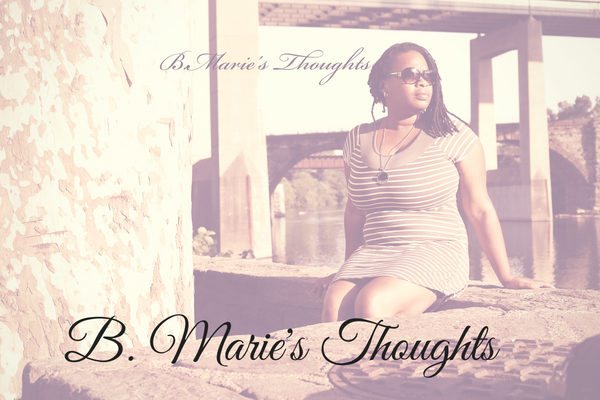 B. Marie’s Thoughts started as an early morning release of thoughts on her mind and turned into blogs and discussions that changed lives of friends and family. Please subscribe and participate in the discussion as we go thru this journey of growth. Level Up! The Guide How to turn your ideas into your business! NOW AVAILABLE! Click Book to order today! Video from Goal Chic 3rd Annual Conference held on May 19th in Bklyn!